VFC Avalon Leopard CQB (Black). 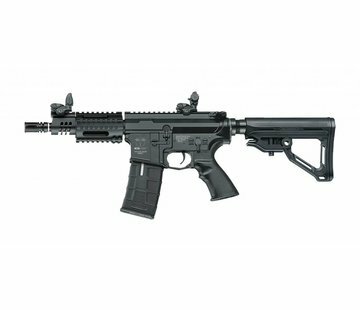 The VFC Avalon Leopard CQB AEG - Black, comes with a full metal body and high quality Avalon engravings. With an extendable stock it allows you to adjust the length of the rifle that fits your body! 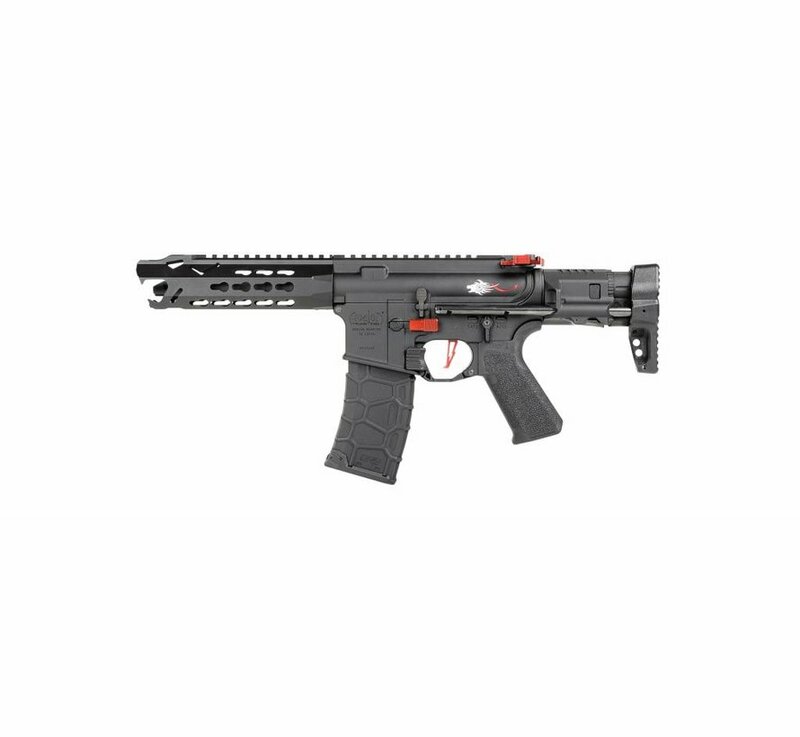 What makes this different to the previous series is that this one is styled to a sports theme with the red parts such as the aggressive looking hand guard, trigger,charging handle and mag release. Comes with a 120 round Mid capacity QRS magazine. Metal flash hider can be screwed off for installation of a 14mm clockwise threaded silencer, just like the Marui M4A1. Dust cover can be flipped open to reveal hop-up adjuster. This particular version comes with an ambidextrous fire selector which is lefty friendly.